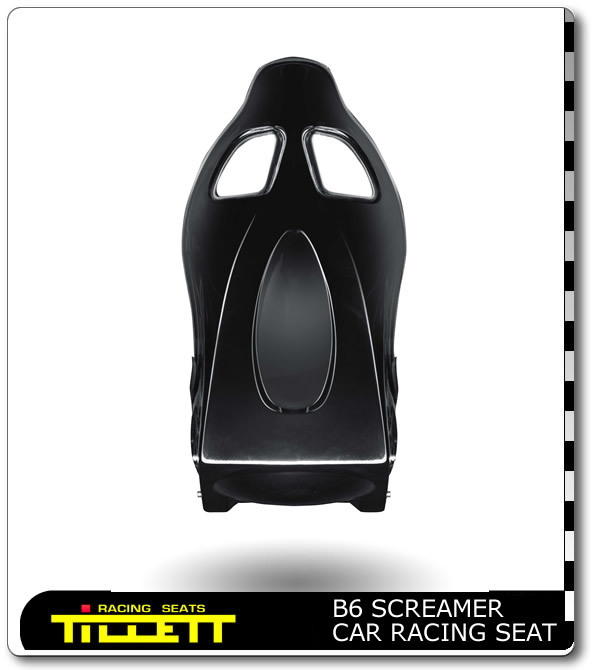 The Tillett Car seat range started life with the W1 seat, it was made for a small company that prepared Westfields after it could not find a seat narrow enough in the market place. 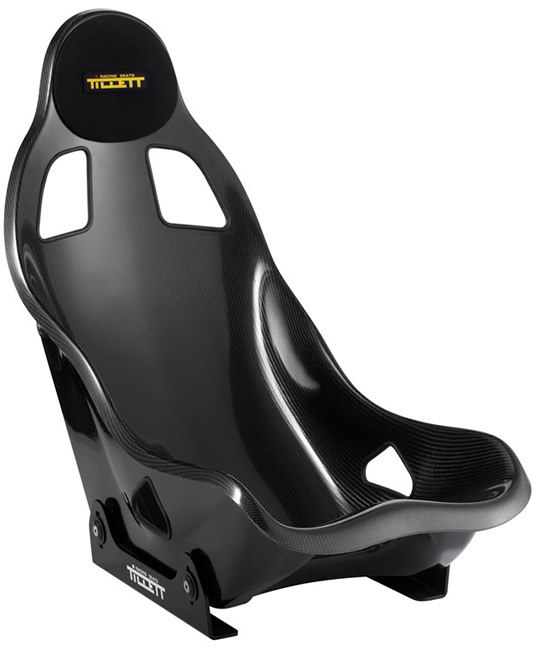 When Caterham were looking for a new race seat they inquired to Tillett Racing Seats and after making a couple of prototypes based on the W1 the new product was released at the 1999 Motor Show. 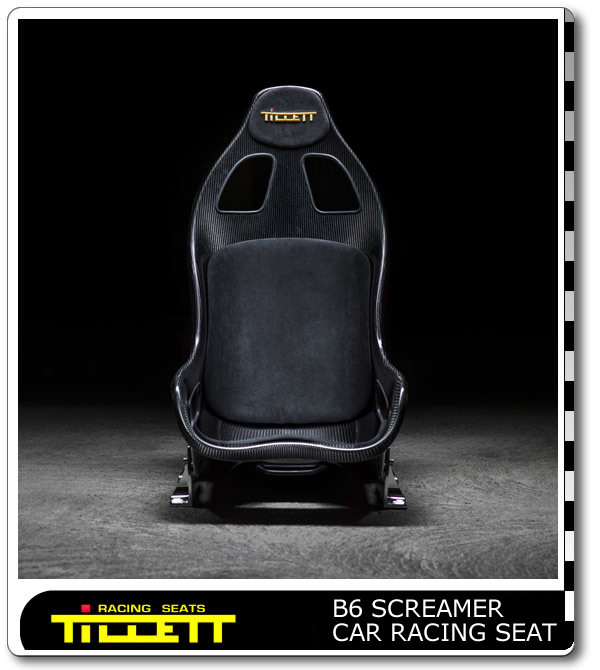 Since then the Tillett Caterham seat has been a great sucess and is used in cars like the R500 as standard. 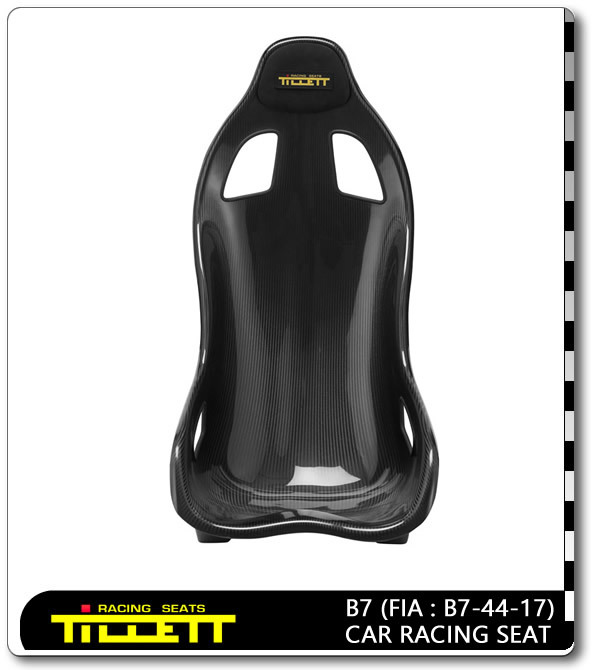 New Tillett car based seat models are now appearing regularly to satisfy the demands of all sorts of specialised machinery. When in the market for a super car, it is not just the sexiness/look/noise/performance ... of the car that makes your heartbeat race nor your mouth water. Sure, there is a measure of all those elements in the super car, but having raced since 2002, I have become very critical in how I fit/sit in the car. I am a big guy (!) weighing 96 kilos and measuring 1.89m. Being properly seated in a super car is and should be a big deal for anyone that buys a super car. It is for me. 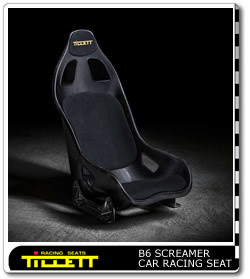 I have raced single seaters, sports prototype and now GT3. I have owned a number of cars, going from the old Porsche 911 Turbo 3.3 of 70s to the Ford GT. 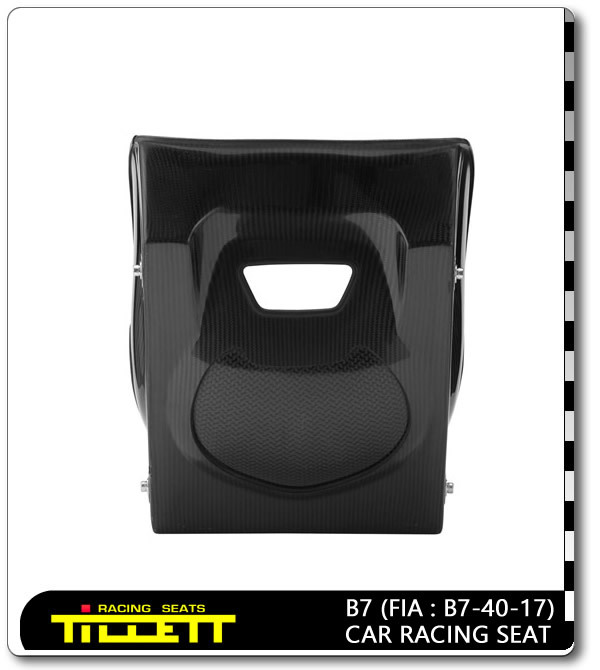 I have gone through the process in trying a number of seats and rendered manufactures up the wall to refit a "proper" seat in my super car. And this where Tillett comes in. 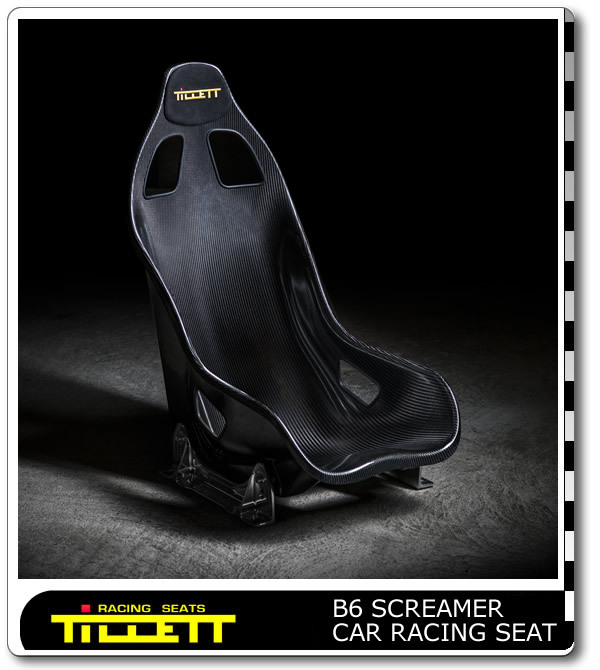 I have simply never been so comfortable, so one on one with my super car, than in my Tillett seats! 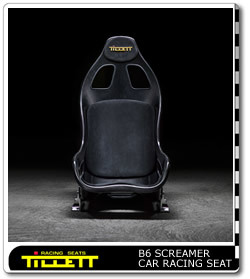 The fit and the way the seat is manufactured is simply incredible. 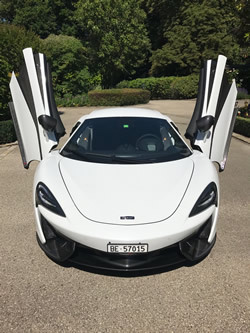 I have driven my McLaren 570s for 4 hours without any back pains. A number of family members/friends have driven with me and even driven the car, some having back issues. At first they were all afraid, pessimistic, not confident. However, I can guarantee you that once in and off, they simply could not believe the comfort of the seat! 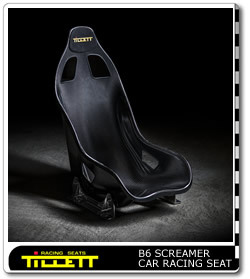 Steve Tillett: thanks for having manufactured the best seat for a super car! 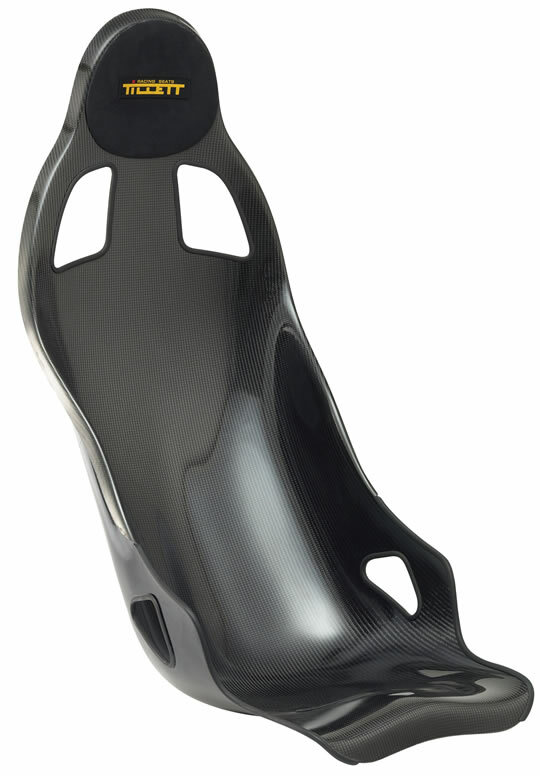 The beautiful lightweight B2 Carbon seat weighs only 3 kg when uncovered and is made from glossy carbon fibre. 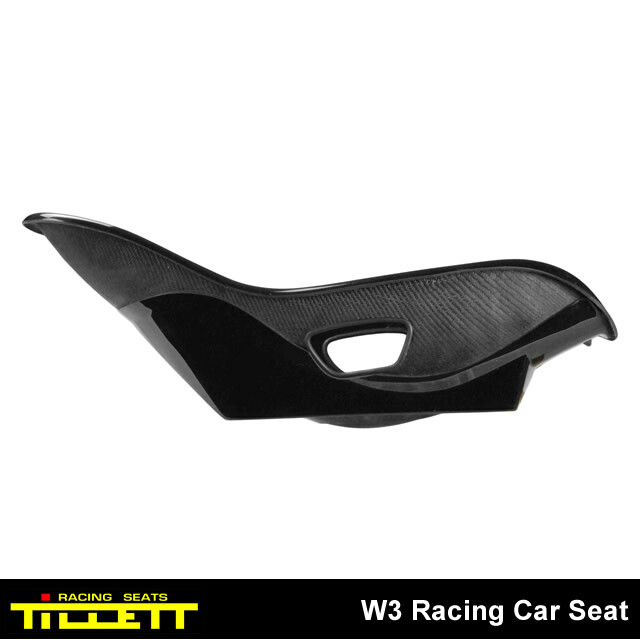 The seat is designed with a low seating angle which is suited to race or track day vehicles. 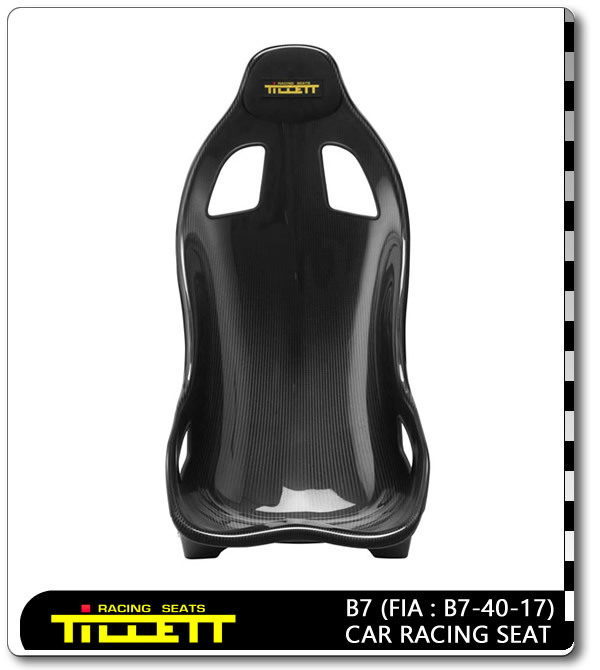 Due to the back shape the driver is curled into a small space allowing this seat to be fitted into many vehicles that could not take a regular performance car seat. 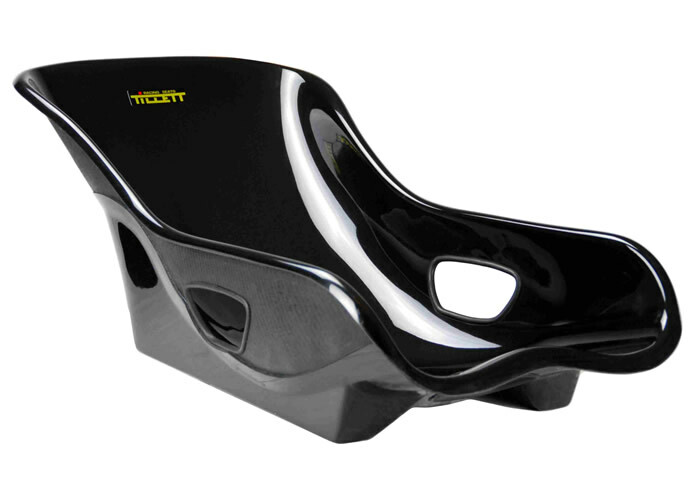 The sides of the B2 allow either a full racing 5 or 6 point harness (Recommended on an inclined seat) or a normal 3 point car seat belt to be used. The shape of the B2 does not require padding making it ideal for open topped cars. 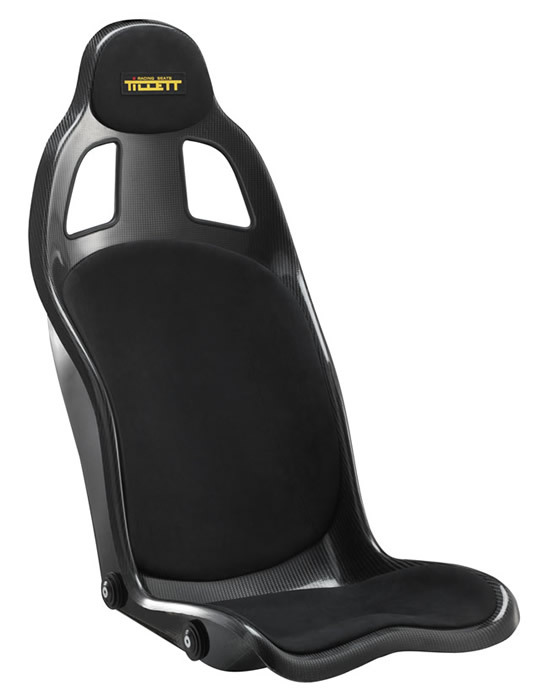 The seat is supplied with a Dinamica ® suede covered headrest pad as standard and can also be supplied with matching back and cushion panels at extra cost. 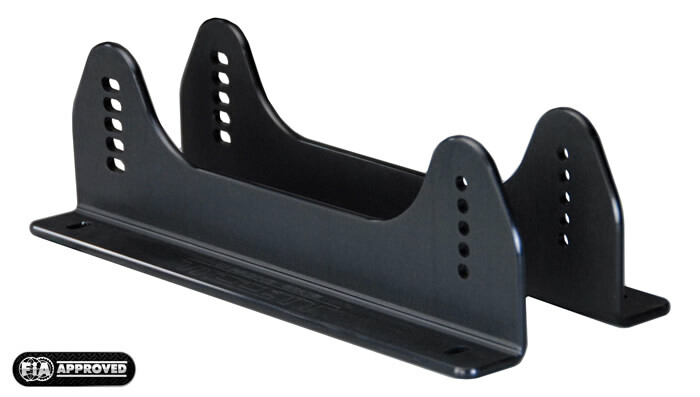 The side mounted B2 has optional aluminum brackets for mounting to runners or directly to the floor. 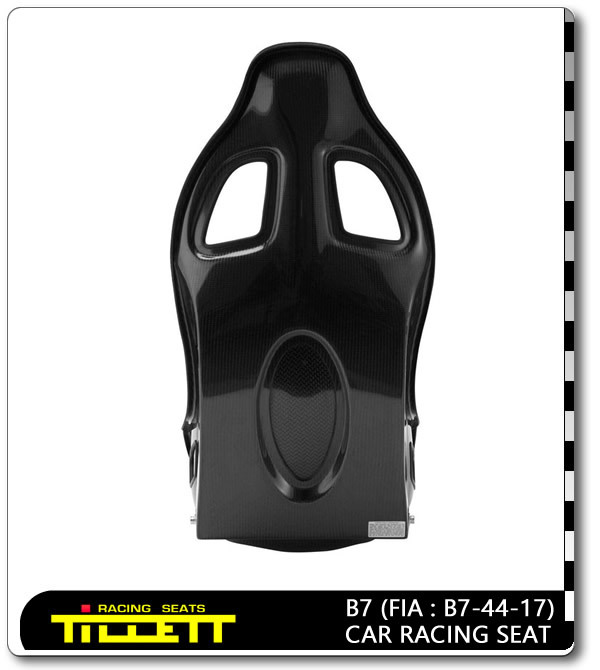 There is a Carbon/GRP version also available. 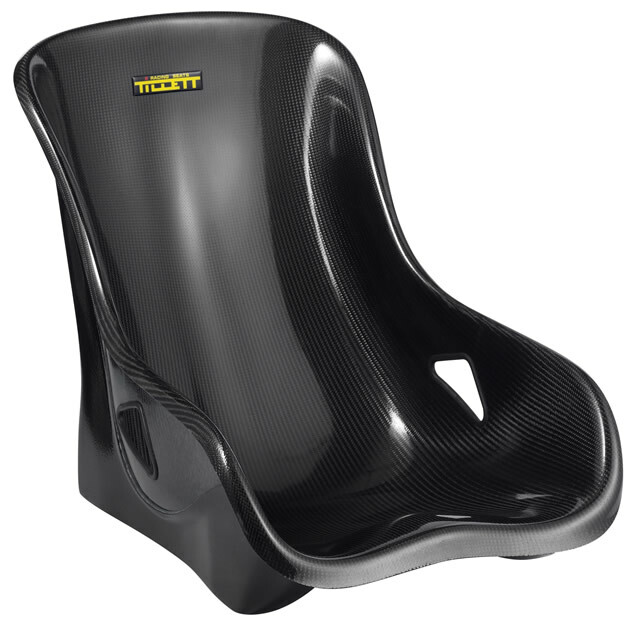 Due to its very thin and light construction (1.8kg for the Carbon / GRP version) this seat needs to be used in a vehicle where the seat can be supported high up on the sides and at the headrest. 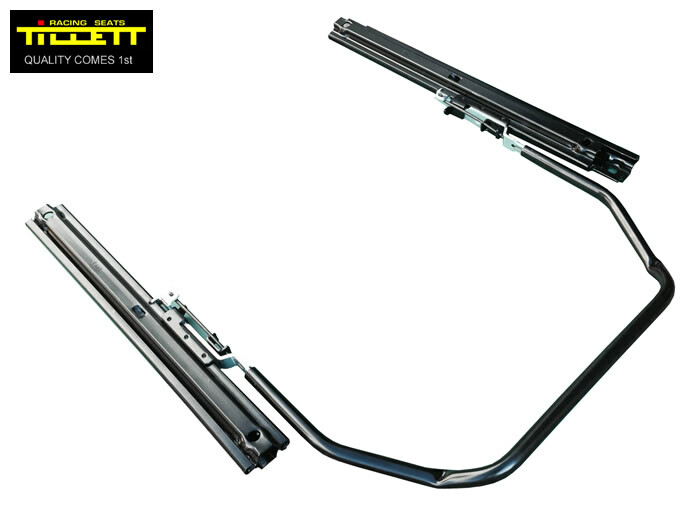 This can be either from the vehicle itself, if it has a roll bar and bulkhead, or from a metal support frame constructed by the customer. 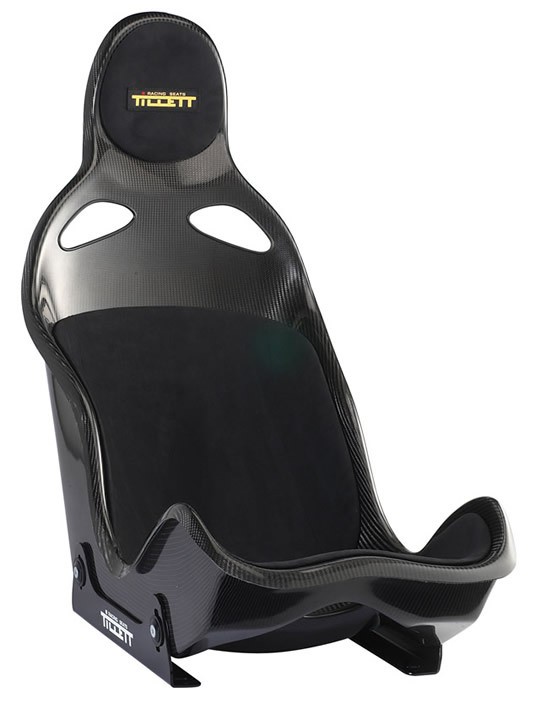 The seat is supplied with a Dinamica ® suede covered headrest pad as standard and can also be supplied with matching back and cushion panels at extra cost. 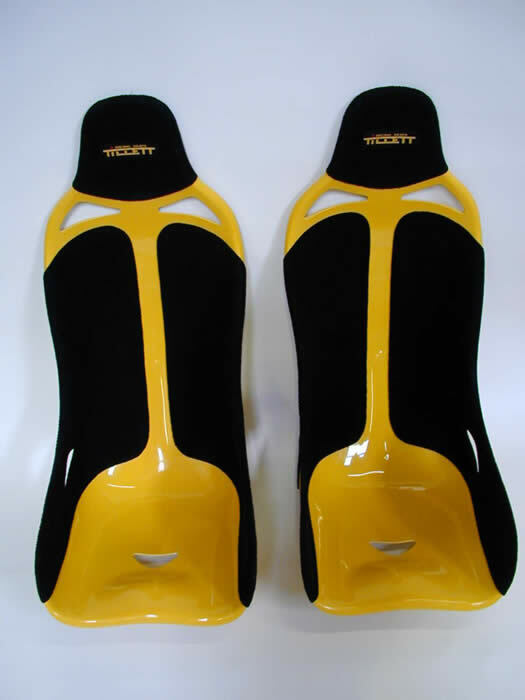 The seat is supplied with a Dinamica ® suede covered headrest pad as standard and can also be supplied with matching back and cushion panels at extra cost. However, covering is unnecessary making it ideal for open topped sports cars. 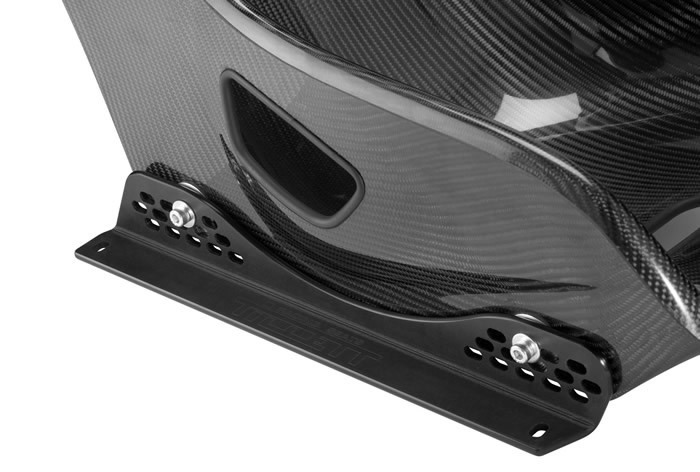 The side mounted B4 has optional aluminum brackets for mounting to runners or directly to the floor. You have the choice to order a 40 or 42 cm front. 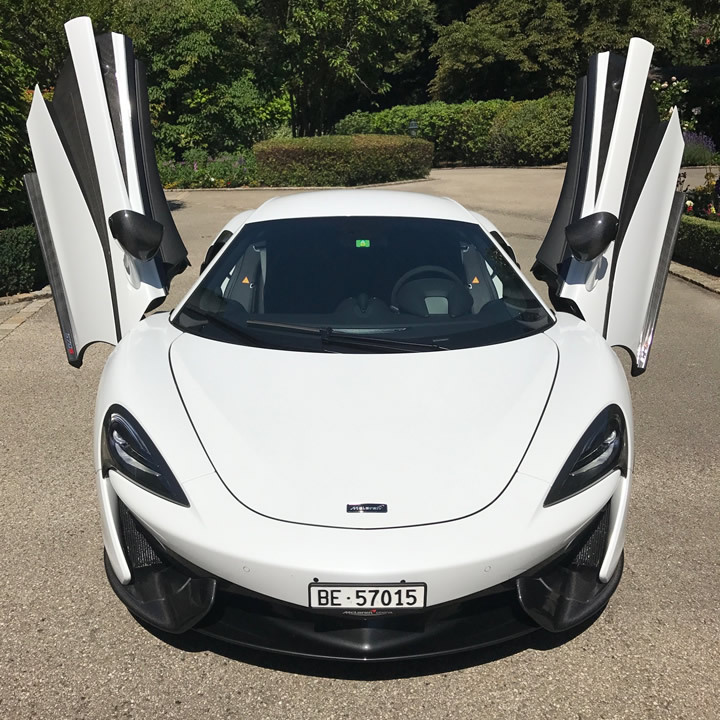 The two specifications remain the same size internally, the 40 cm version is made to allow fitment between the gearbox tunnel and the door sill. 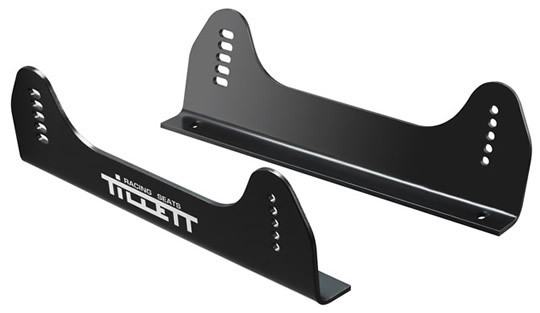 A 40 cm front will fit a Caterham, Westfield and most other similar vehicles. 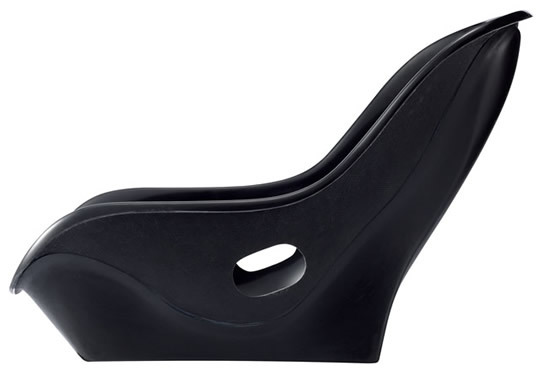 With the 42 cm version the rolled edge is left on giving a more aesthetically pleasing line to the edge of the seat, therefore if you have the room go for this model. 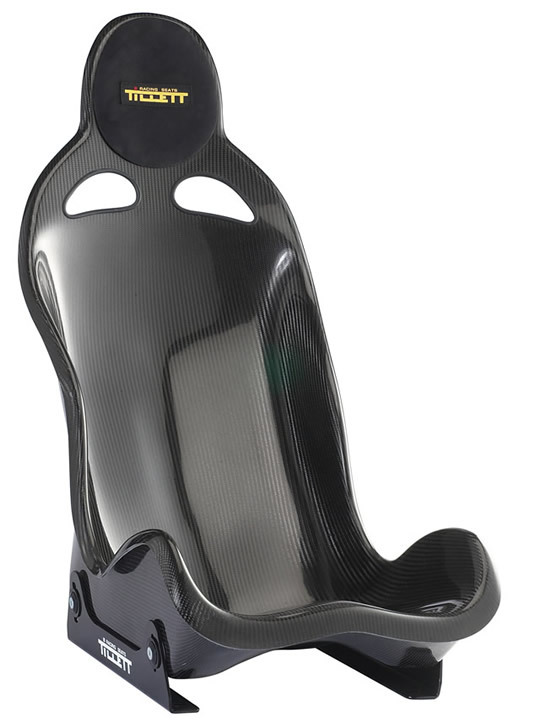 The new rigid Carbon/GRP B5 seat weighs from 5.7 to 6.7 kg and has been designed especially to suit the Lotus Elise / Exige. The seat angle is a regular saloon car angle. 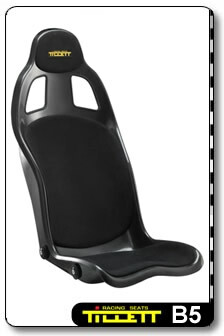 The small narrow size of the B5 means that many other vehicle applications are possible with this seat. 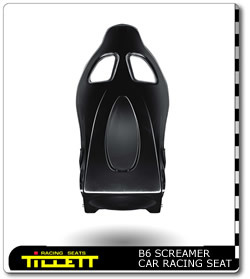 The B5 sits the driver very low in the car which reduces the likelihood of hitting the crash helmet on the roll cage. 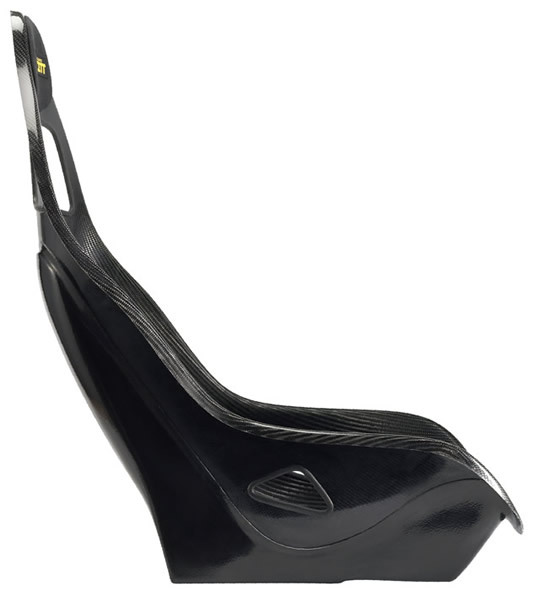 This benefits the taller driver who may have problems in other seats and also helps lower the centre of gravity. 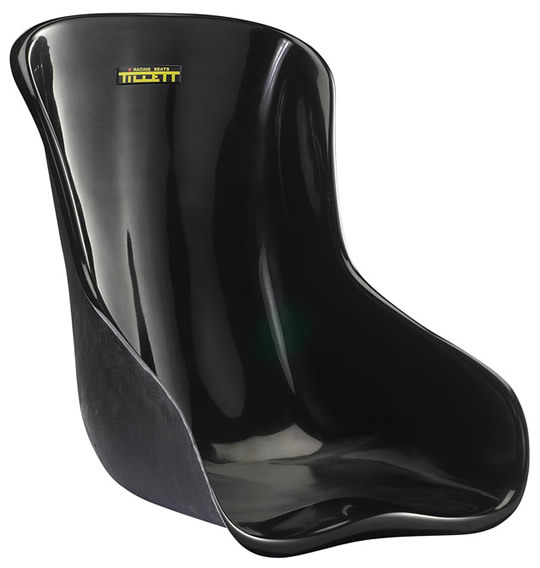 The side profile developed from years of manufacturing kart racing seats gives excellent support and leaves the shoulders free to help steer the car unhindered. Although the seat is small it can fit a surprisingly large range of driver sizes and the seat has been designed to be compatible with the Hans device. The B5 is also available in a black GRP version. 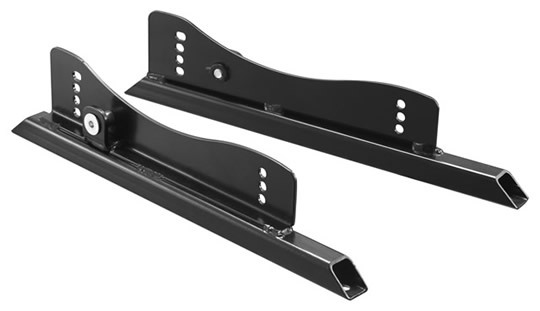 The side mounted B5 has four types of brackets available. 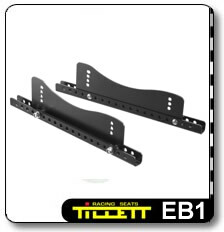 EB1 Race/track bracket set which solidly fixes to the driver’s side of the Elise and allows adjustment for leg length and angle and height. 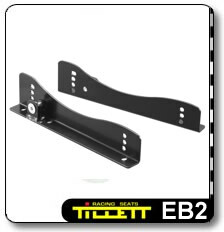 EB2 Road bracket set that fits to the original Elise adjustment runners these allow for angle and height adjustment. 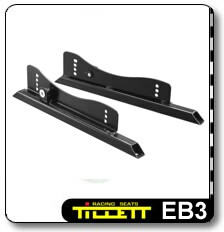 EB3 Fixed passenger brackets in either LHD or RHD. These also allow for angle adjustment. 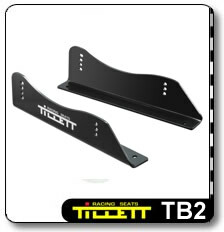 TB2 Aluminum brackets for mounting to Tillett runners. 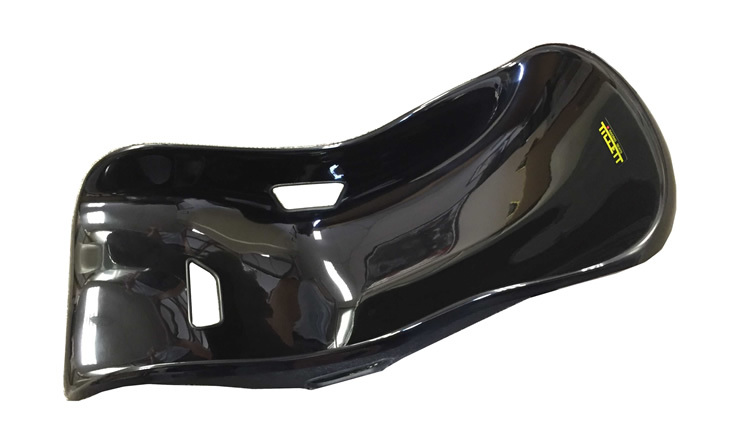 These are used for fitting the B5 to many different types of vehicles but this type must be used in conjunction with runners or a minimum of 25 mm box section otherwise the dome on the bottom of the seat will sit lower than the bolting plane. The hip holes have also been enlarged to help easier access for wider lap belts. 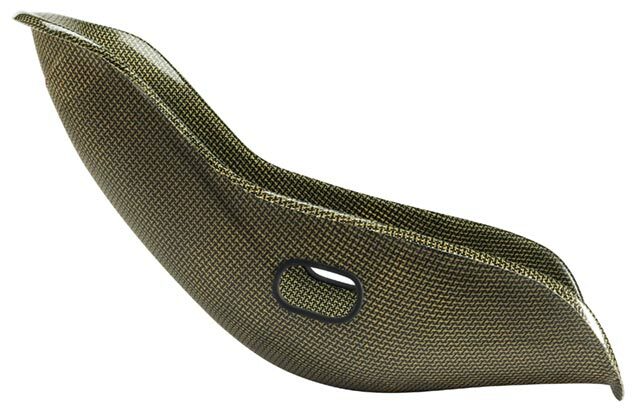 The composite shell is made so that the outer edge can be either removed for narrow 40 cm tubs or left on to create a continuous rolled edge around the whole perimeter of the seat. 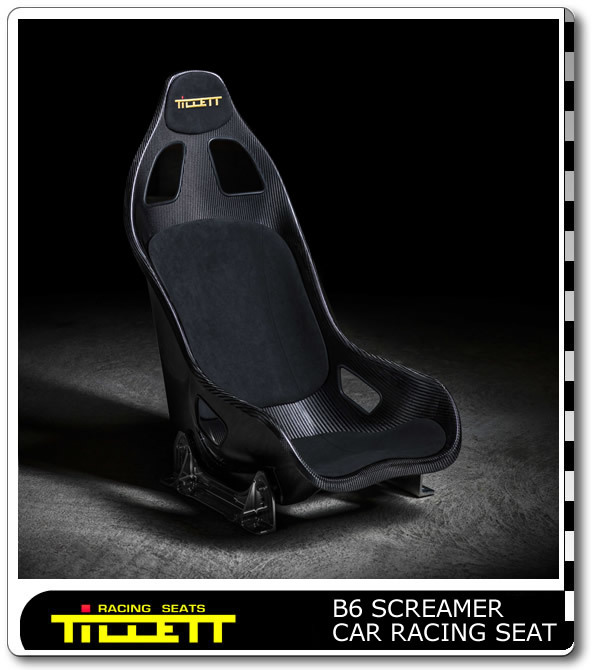 The B6 is available in Carbon/GRP or Black GRP and is supplied complete with a Dinamica ® suede covered headrest pad as standard. 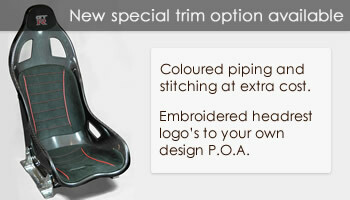 It can also be supplied with matching back and cushion panels at extra cost. 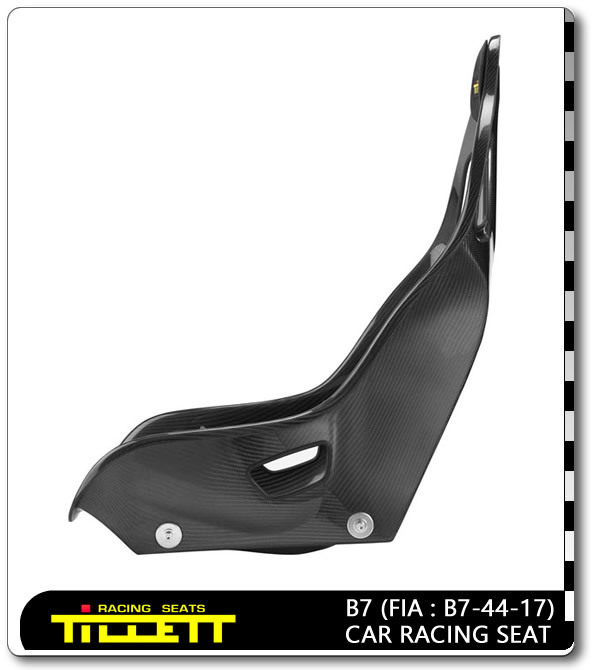 The weight of an carbon/GRP B6 is 4.2 kg. 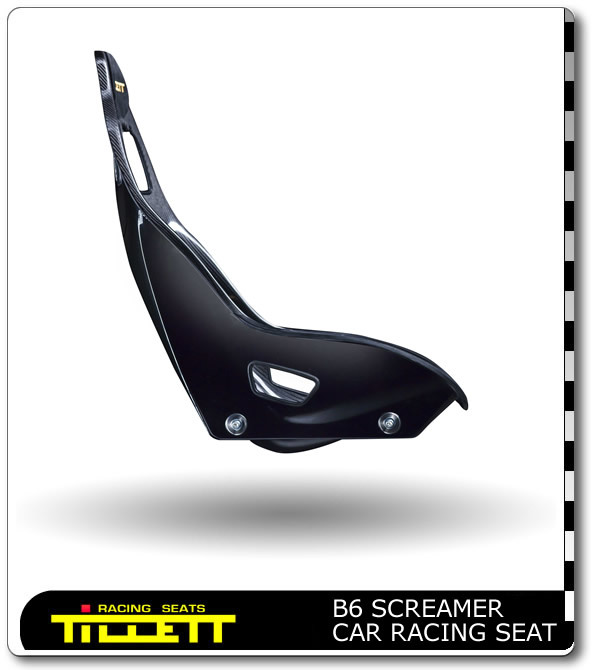 The mounting points for the B6 are under the seat so that the TR1 Tillett Adjustment Runners can be bolted directly to the underneath (Please note that the runners must be spaced 1 cm from the underside of the seat to give clearance for the handle to operate.). 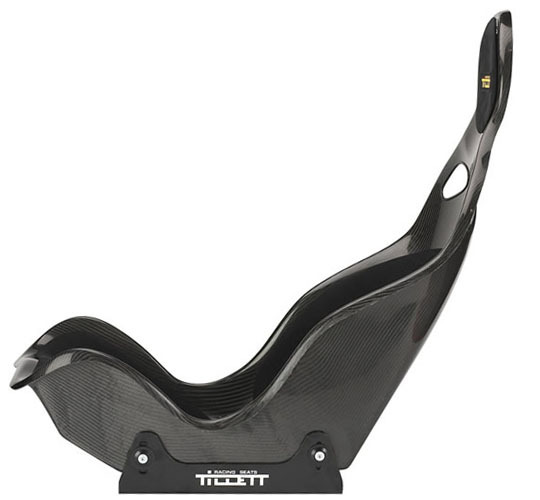 Mounting of the seat is also possible straight to the floor using a piece of 25 mm box section or runner system and Nylon spacers can be supplied to tip the seat at different angles. 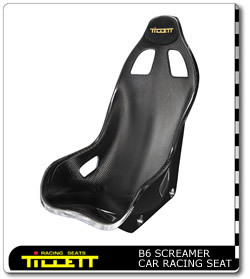 The seat is supplied as standard with a Dinamica suede covered headrest pad. 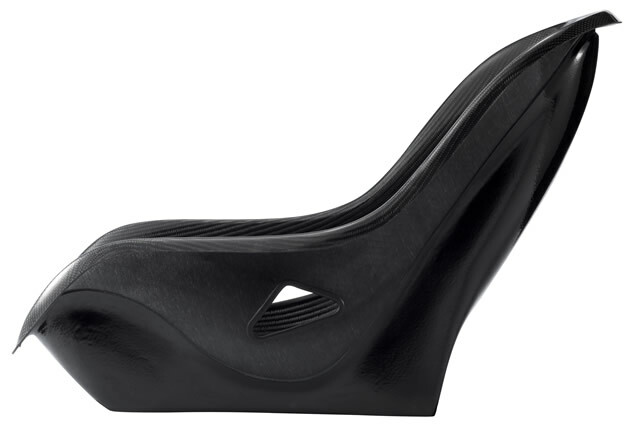 The B7 can be ordered with black Dinamica suede panels as an option. The panel set adds 1 kg and can be customised to the customer's own fabric and stitching requirements using our "in house" upholstery department. 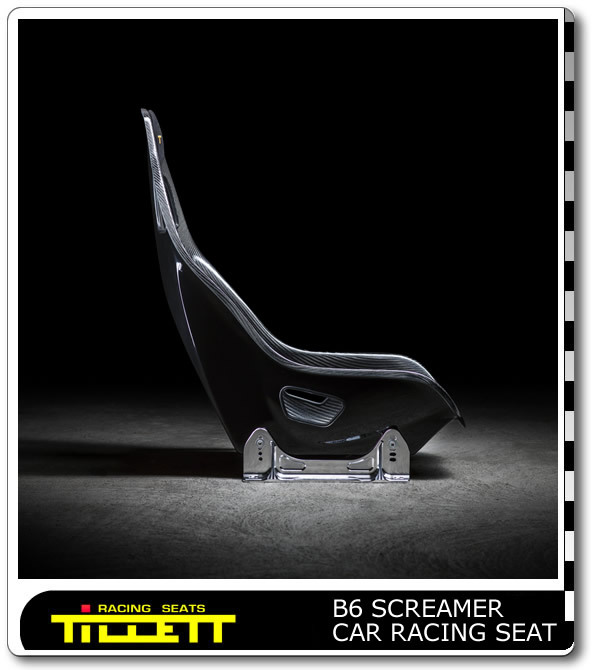 Like all Tillett seats, the B7 seat does not require the padded panels to be comfortable. The W2 is a 25 mm wider handmade version of the W1. It is available in Carbon/Kevlar and GRP versions. 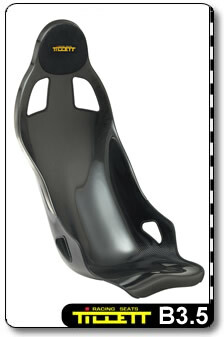 The weight of the GRP version is 2.4 kg; the weight of the Kevlar version is 1.1kg without the back frame. The W2 can also be ordered with or without covering. A half covered example is ideal for open top cars. Seat belt harness holes are included. 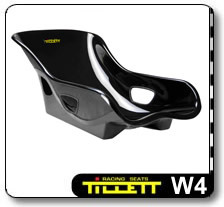 The mounting points for the W2 are under the seat so that the TR1 Tillett Adjustment Runners can be bolted directly to the underneath (Please note that the runners must be spaced 1 cm from the underside of the seat to give clearance for the handle to operate.). 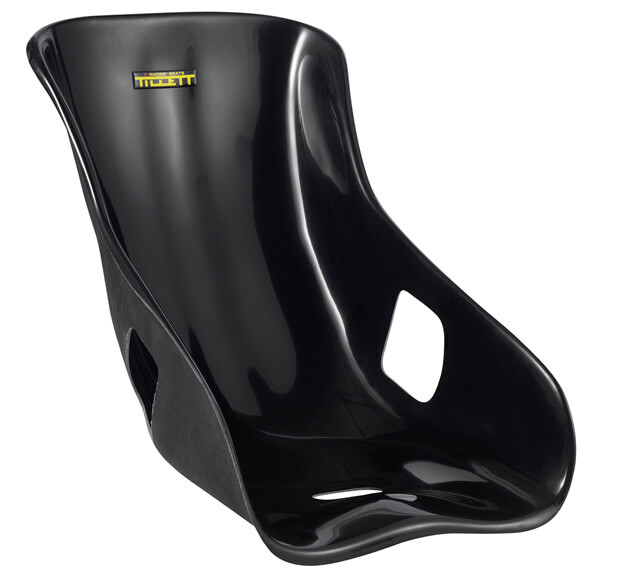 Mounting of the seat is also possible straight to the floor using a piece of 25 mm box section or runner system and Nylon spacers can be supplied to tip the seat at different angles. The weight of a W2 with the new back frame is 3.3 kg. 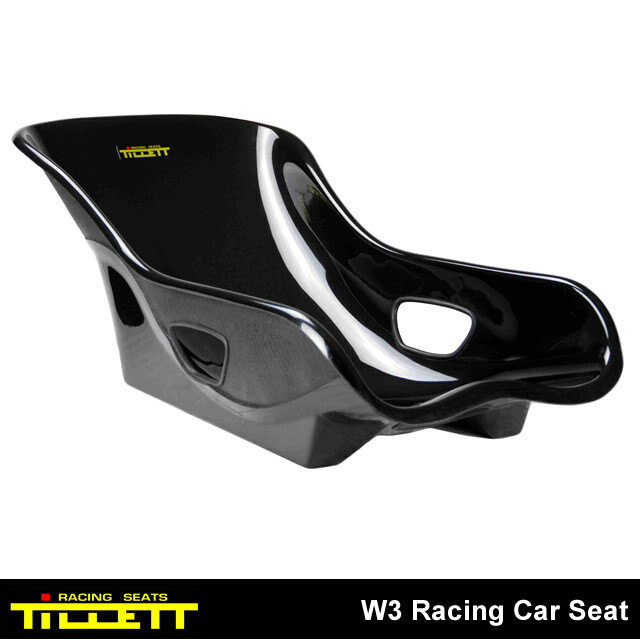 The W3 is a reclined handmade version of the W1i and the driving position is suitable for formula racing vehicles. You have the choice to order a 40 or 44 cm front. The two specifications remain the same size internally. The W3-40 cm version is made to allow fitment in a narrower cockpit. 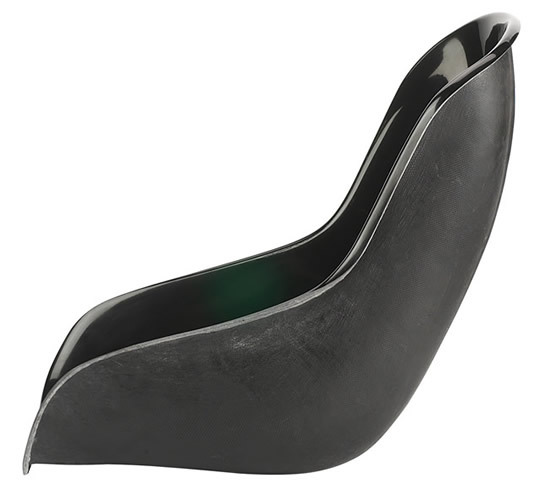 With the 44 cm version the rolled edge is left on giving a more aesthetically pleasing line to the edge of the seat. 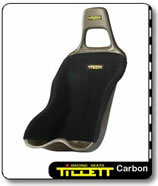 The lightweight handmade carbon Kevlar® version only weighs 1.1 kg. Seat belt harness holes are included. 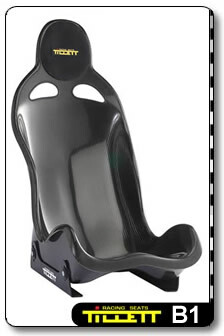 A 5 or 6 point harness is advised with this inclined seat. 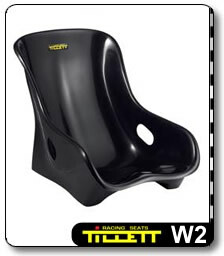 The W3 is also available with a floor mountable backframe which has four M8 fixings integrated into the moulding. With the backframe the seat is self supporting and it is then easy to mount the seat rigidly to the floor or on top of the Tillett TR1 seat adjustment runners. 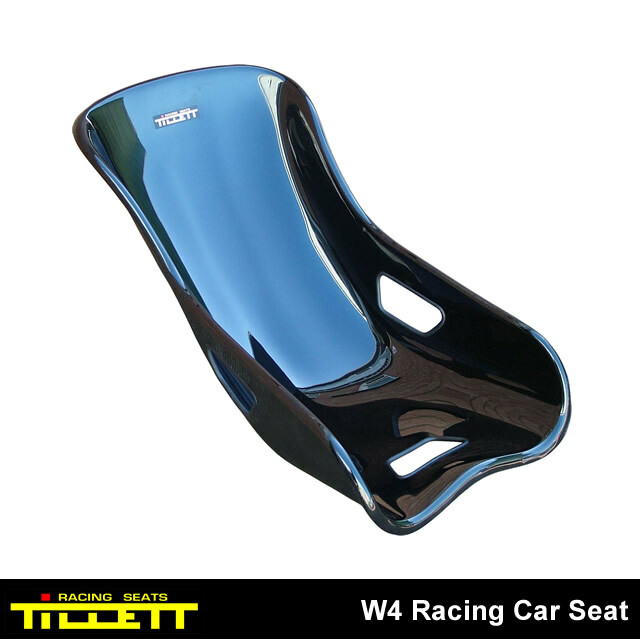 The W4 is a very inclined seat used primarily in vehicles that use a Formula car seating position. 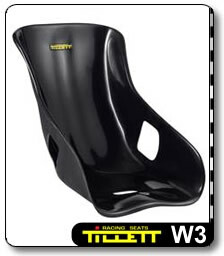 This seat is a wider version of the W3 seat. In addition to the single skin shell, the W4 can be bought with an optional back frame. 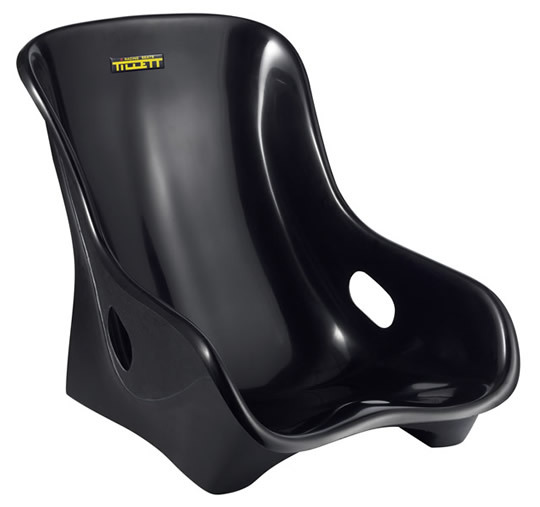 This secondary moulding bonded to the back allows the seat to be bolted rigidly to a floor or runner system. 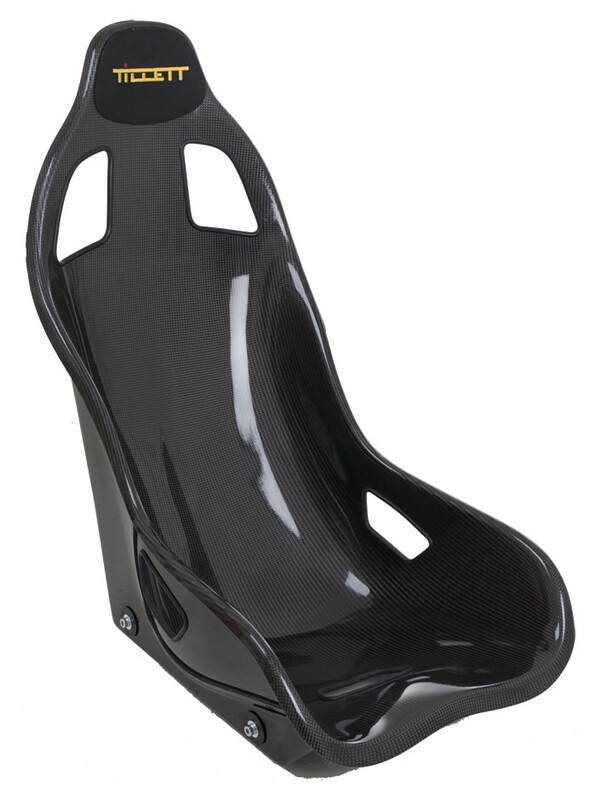 (It is not recommended to use a runner adjustment system in a race vehicle) Bought as a single skin shell the seat requires customer made brackets to fit the chosen vehicle. 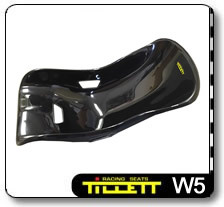 The W5 is a reclined version of the W1i shape with the driving angle suited to vehicles that are very low, such as the GT40. 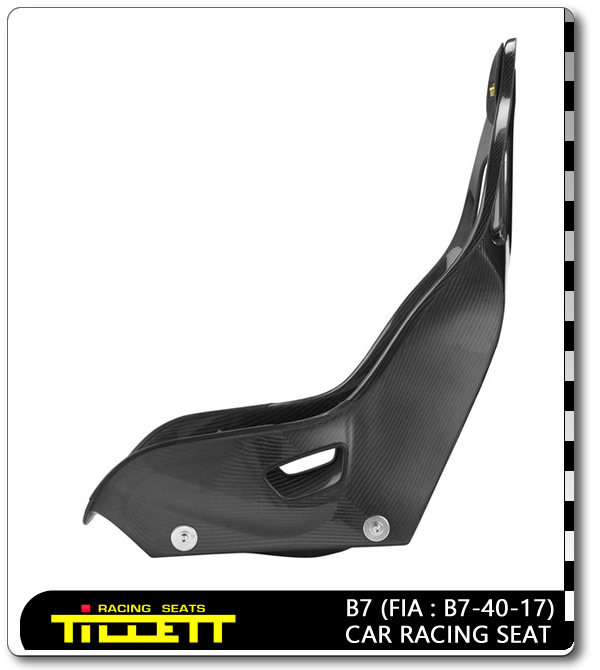 The lightweight handmade carbon Kevlar® version only weighs 1.1 kg. Seat belt harness holes are included. A five or six point harness is advised with a reclined seat. 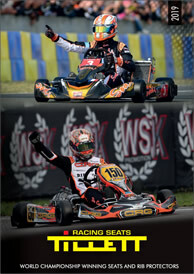 The W6 is a wider XL version of the W5 for drivers over 100 kg. 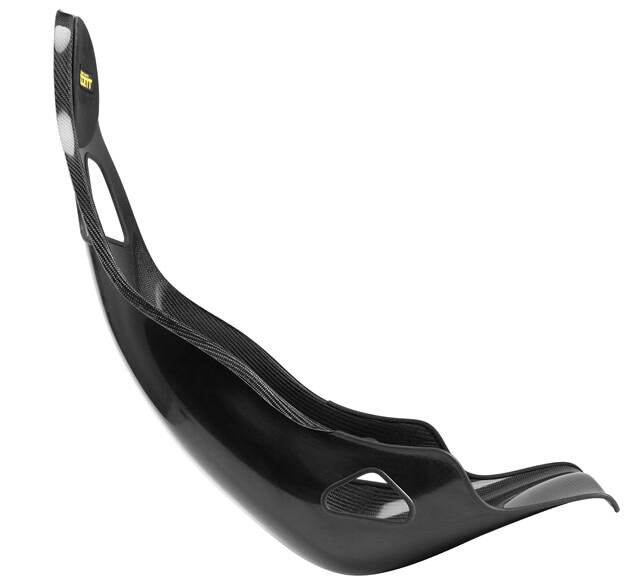 This is a reclined version of the W1i shape with the driving angle suited to vehicles that are very low, such as the GT40. 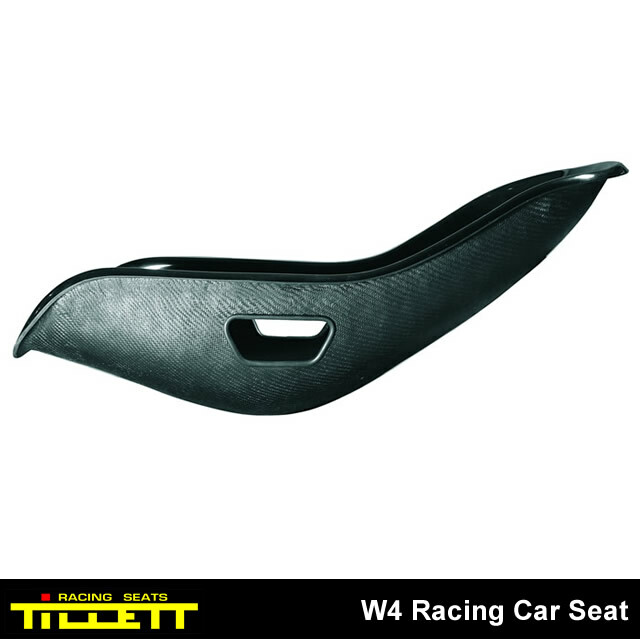 The W6 seat is a single composite skin and will need brackets made in order to fit the various vehicles. 5 mm thick aluminum mounting brackets to suit the B1, B2 or B4 car seats. These allow the seats to be tipped, raised and lowered. 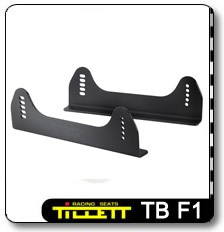 TB1 brackets can be used with TR1 seat adjustment runners. However, it is not recommended to use adjustment runners on a race or track day car, as they are only intended for road use. 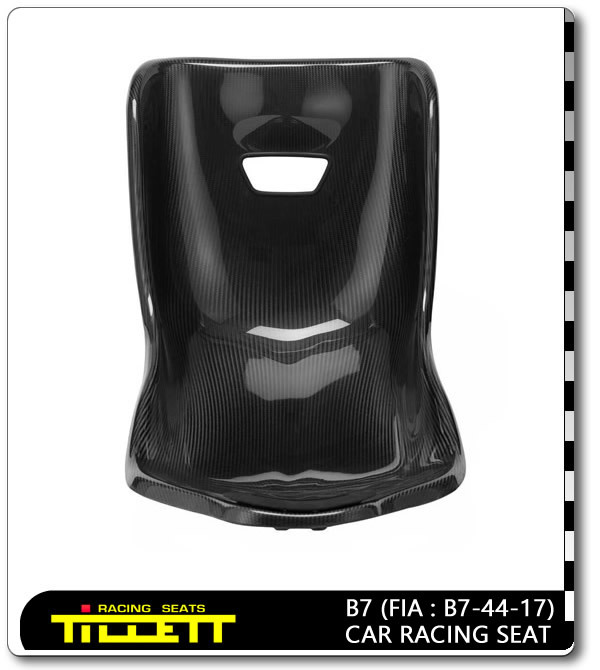 Designed to fit the B6 F and the B7 the beautiful and strong Tillett FIA bracket combines gorgeous looks with ultra-strong performance. Machined from solid aluminium billet these are the ultimate car seat bracket. A pair of brackets these weigh just 1.3 kg. 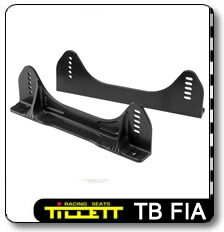 TB F5 aluminium side mounting brackets are from 6 mm thick high grade aluminium and suit the B6 F, B6F XL or B7 race car seats. These allow the seats to be tipped, raised and lowered. TB F5 brackets can be used with TR1 seat adjustment runners. (Seat runners are not recommended for race use) The TB F5 brackets are made to point out from the seat. 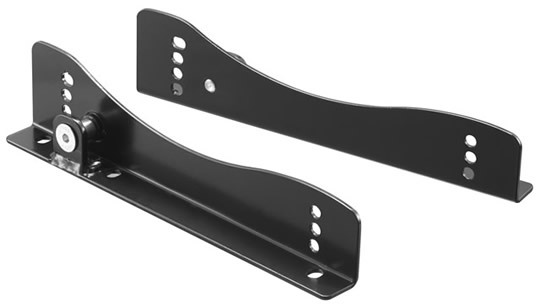 5 mm thick aluminium mounting brackets to suit the B5 car seat. These allow the seats to be tipped, raised and lowered. 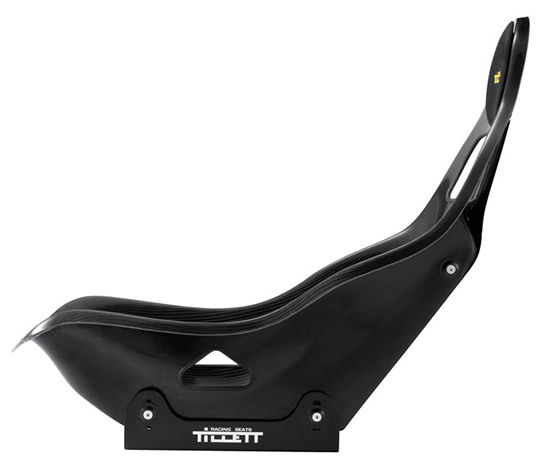 TB2 brackets can be used with TR1 seat adjustment runners. 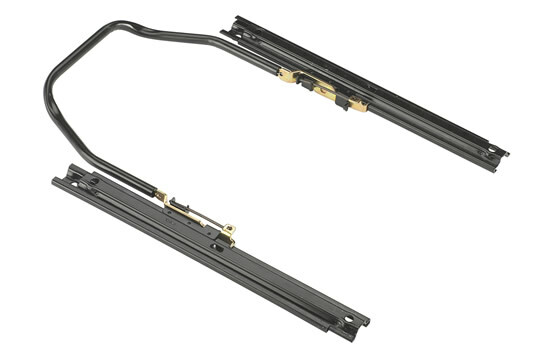 However, it is not recommended to use adjustment runners on a race or track day car, as they are intended for road use. 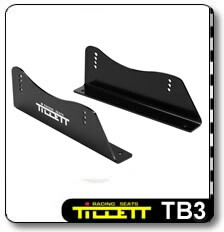 The TB3 is the bracket to use if you wish to mount the seat directly onto a flat floor. 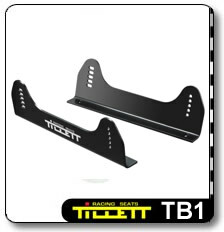 TB3 brackets can be used with TR1 seat adjustment runners. However, it is not recommended to use adjustment runners on a race or track day car, as they are intended for road use. 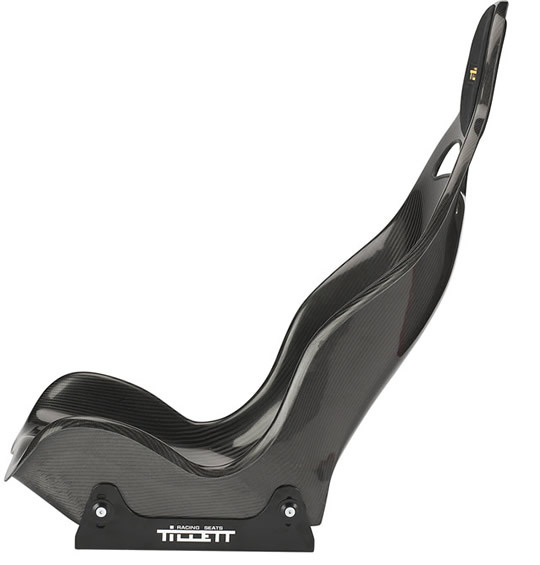 Adjustable length Tillett side mounted race seat brackets for the B5. 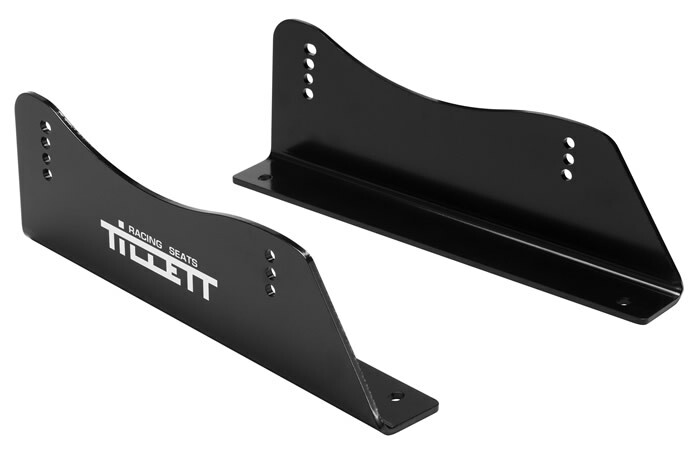 This 3 mm thick steel mounting bracket set is designed to solidly fit the B5 drivers seat directly to the Elise/Exige and allows the driver not only to adjust the angle and height but also the leg length. These brackets are useable in other vehicles too. 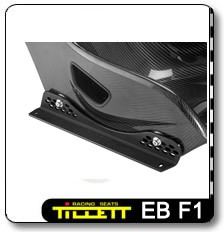 The weight of the EB1 bracket set is 2.6 kg. 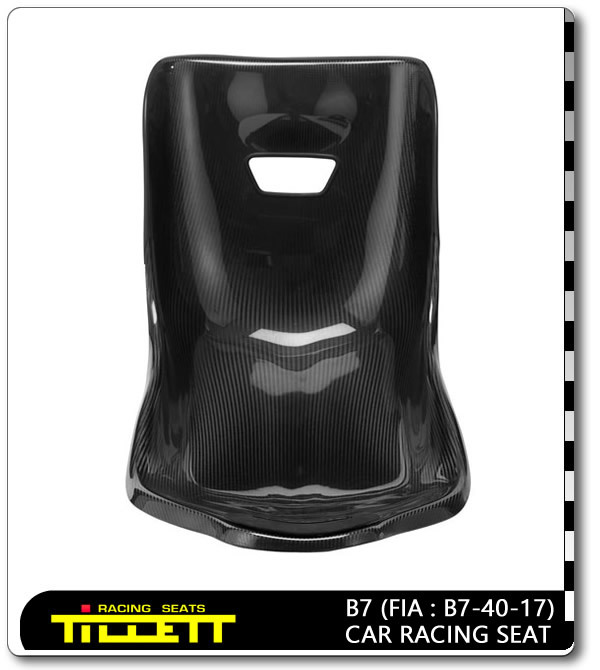 EB F1 Tillett side mount seat brackets for B6F, B6F XL, B7 and the standard B6 when bought with the side mount option. 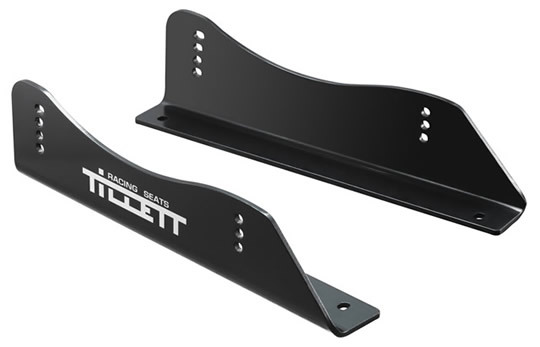 These strong and rigid 6 mm thick aluminium mounting brackets are designed to solidly fit the driver's seat to the Elise/Exige for race and track applications and it allows adjustment of angle, height and leg length. 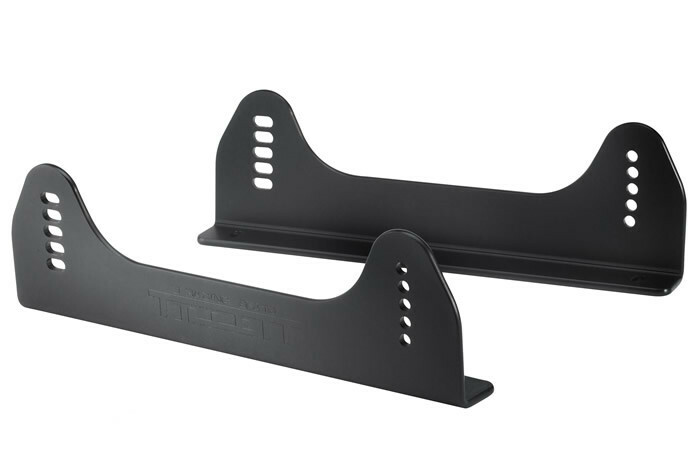 This 3 mm thick steel mounting bracket set is designed to fit on the existing Elise/Exige runners and allows the driver to adjust the angle, height of the B5 seat. 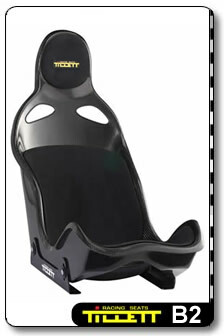 They also have mounting points for the original seat belt mountings or they can be used for a race harness. 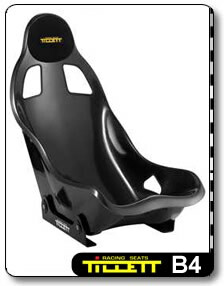 It is not recommended to use seat adjustment runners on a race or track car. 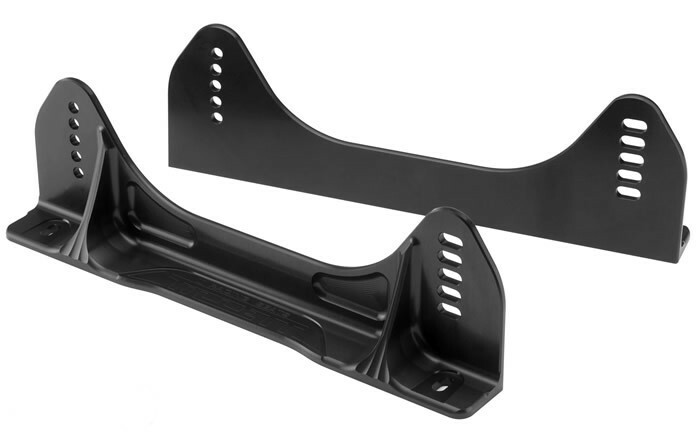 This 3 mm thick steel mounting bracket set is designed to fit the passenger side of the Elise/Exige. 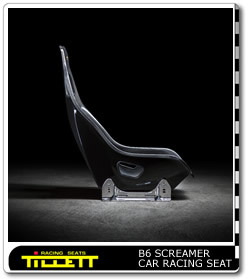 They allow adjustment of the angle and height of the B5 seat. 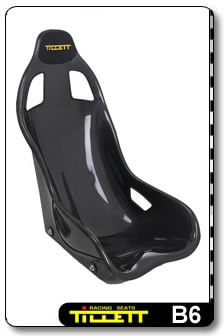 They also have mounting points for the original seat belt mountings or they can be used for a race harness. Available for LHD or RHD cars. The weight of the EB3 brackets is 2.2 kg. 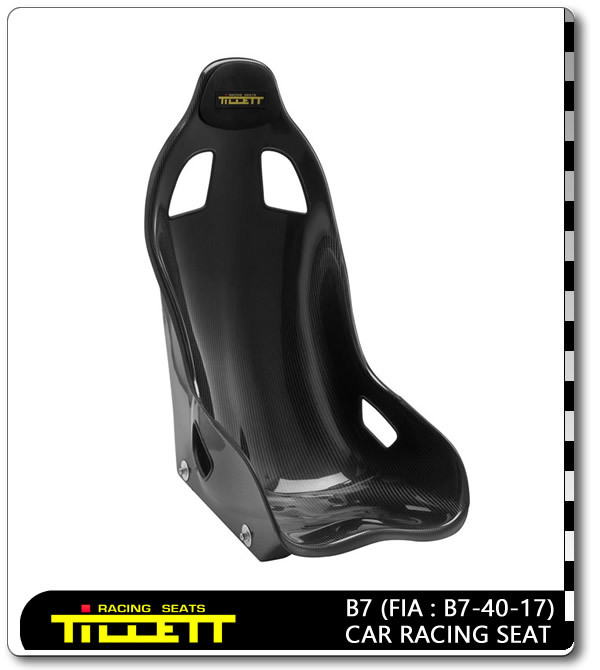 TBF1 brackets when using seats B6 F, B6F XL and B7 and when fitting the B5 seat coupled with TB2 or TB3 brackets, turned under the seat. 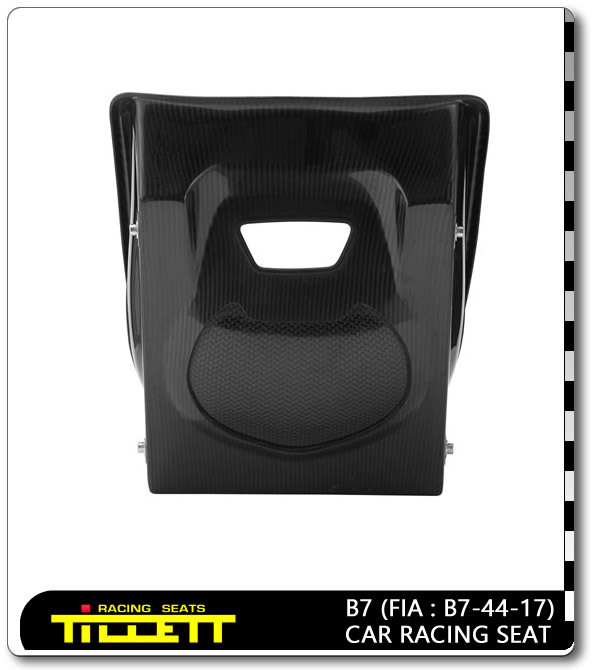 When using the B6 with bottom mounts and directly mounting the TR1 runners to the seat without brackets, a special fitting kit TK5 with extra spacers is needed. For more info, click here. 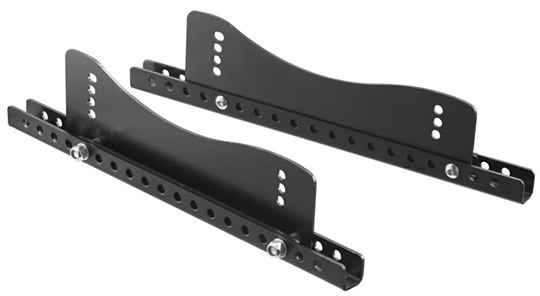 When the option of a side mounted B6 is taken, then the runners will need bracket sets the same as used for the B6F, B6F XL and B7. 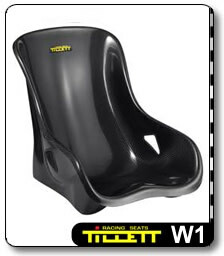 They can be bolted directly to the bottom the W1/W2 seats when they are fitted with the optional back frame. 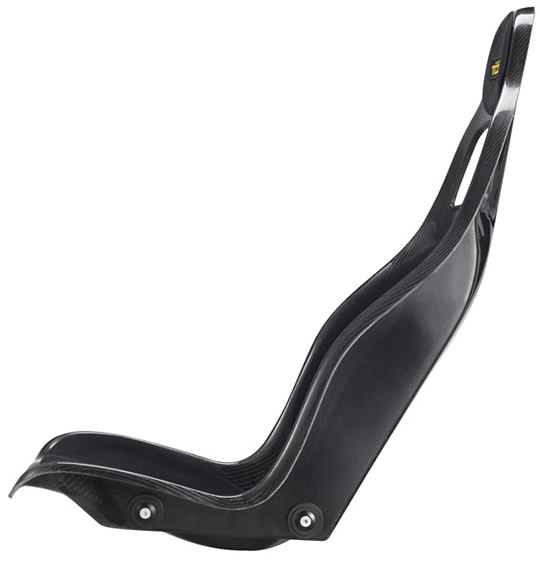 Please note we strongly recommend that you do not use seat adjustment runners for race use. 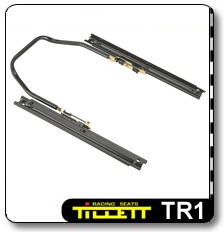 The TR2 runner set is identical to the TR1 runner set other than the handle is 90 mm wider. 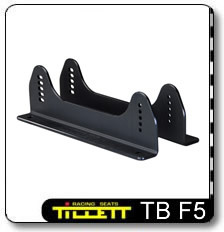 They are wider so that they can then be fitted under the outward turned bracket sets TB5, TB F5 or TBFIA. 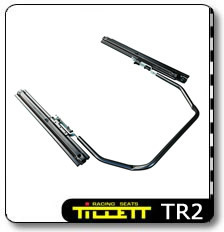 The TR2 also fits the TB2 and TB3 bracket sets when they are turned outwards from a B5 seat.